This delightful book places women firmly at the centre of their work and contributions to various breakthroughs and discoveries. Rather than being relegated to the status of 'wife' or 'assistant', they are the pioneers in their respective fields. It's ever-so refreshing, although at times infuriating if only that some women did not receive the recognition they deserved until after their deaths. Whether as a ray of light and hope during these odd times, or as inspiration for young scientists, this is a lively read. 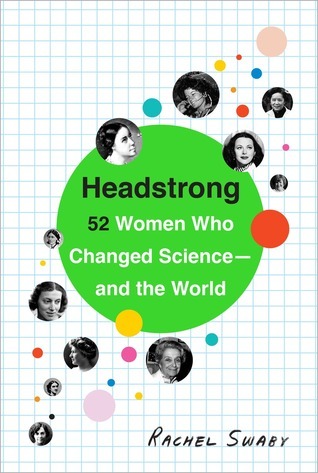 If I had a daughter, I'd read it with her, and perhaps dive into the extensive bibliography documenting women's many contributions to STEM. Sign into Goodreads to see if any of your friends have read Headstrong.